This shocking picture shows a dolphin that washed up on a British beach with rubbish wrapped around its beak. The animal was found by Sandra Hilton who took this image before reporting the find to the relevant authorities. 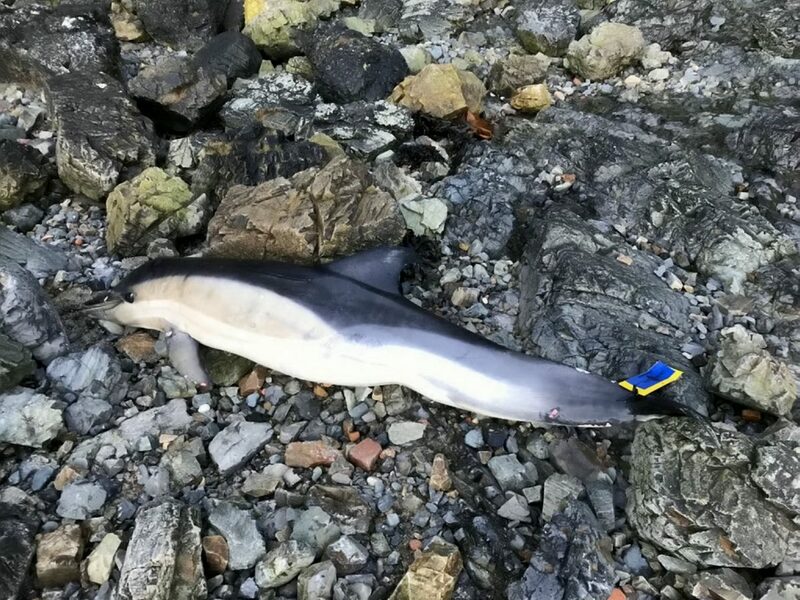 But officers from Jersey’s States’ Fisheries and Marine Resources Department have not been able to located the dolphin. 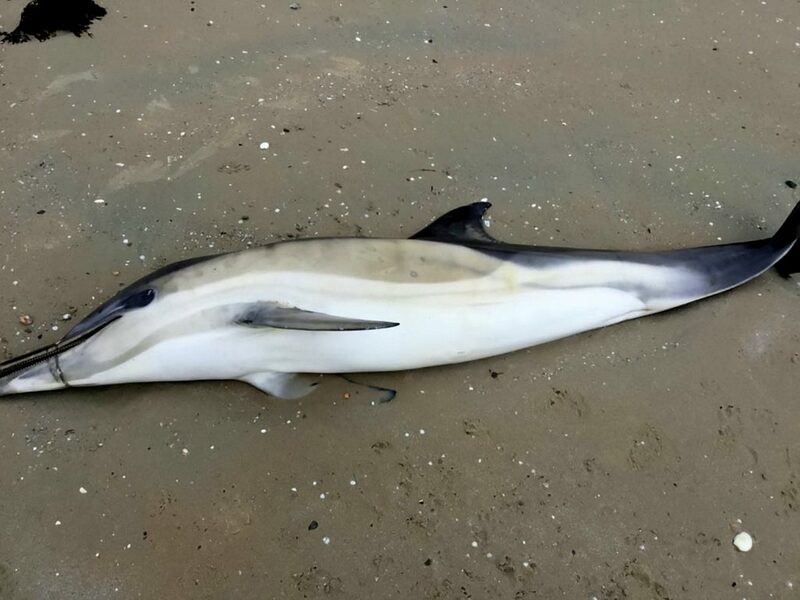 They said the dolphin, which looked ’emaciated’ was tagged – and have now urged islanders to look out for it. The dolphin was found behind the Royal Channel Islands Yacht Club. Paul Chambers, fisheries department, said: “It is a female common dolphin and obviously has some injuries to its snout area. “It looks as if something became wrapped around its beak and there are a series of very deep injuries. “It could have been a piece of rubbish that got wrapped around its beak or it could have got caught in fishing gear and struggled to get out. Paul added that staff from his section had gone down to the beach to pick up the animal yesterday morning but had been unable to locate it. He continued: “The dolphin may have drifted back out to sea but, with the tides at the moment, it will probably come back in again. “If we manage to get it back in we will look at the layers of fat – it looked quite thin and it did not have any bulk at the top of the shoulders – and we will also have a look at its sides. Paul added that he did not think the creature would have drifted far and asked for people to contact the department if they spotted it. He also said that the species was not one which was commonly seen close to the Island’s shores. He added: “The common dolphin is more of an offshore species found to the west and north-west in deeper waters but they are occasionally seen in shallow waters. “That does bring it into potential contact with trawlers occasionally, but it is impossible to tell if that is how it died.